Most homeowners wait until their gas furnace experiences serious problems or breaks completely to call for a HVAC technician. Do not be one of them! When it comes to gas furnace repair, especially in cold seasons, the best way to prevent your gas furnace poor performance and efficiency issues is to plan yearly furnace maintenance in advance with Norwalk Plumbing Heating & Air Conditioning. Our expert furnace maintenance and repair technicians have all your present and future heating issues covered, having undergone sufficient training and being highly competent to perform any furnace repairs or maintenance. In order to keep your gas furnace working at its peak efficiency for a long time, do not ignore its proper maintenance and you will surely get continuous heat in the winter season. Our HVAC experts inspect the heat exchange surface for cracks or signs of deterioration, which is critical to having your gas furnace working at maximum efficiency. This maintenance practice guarantees proper air circulation, providing adequate warmth throughout your entire home. Our technicians will analyze your gas furnace fuel operation to check whether the right pressure is transferred to the unit. A gas valve that functions correctly plays a crucial role in your gas furnace operation efficiency and overall safety. 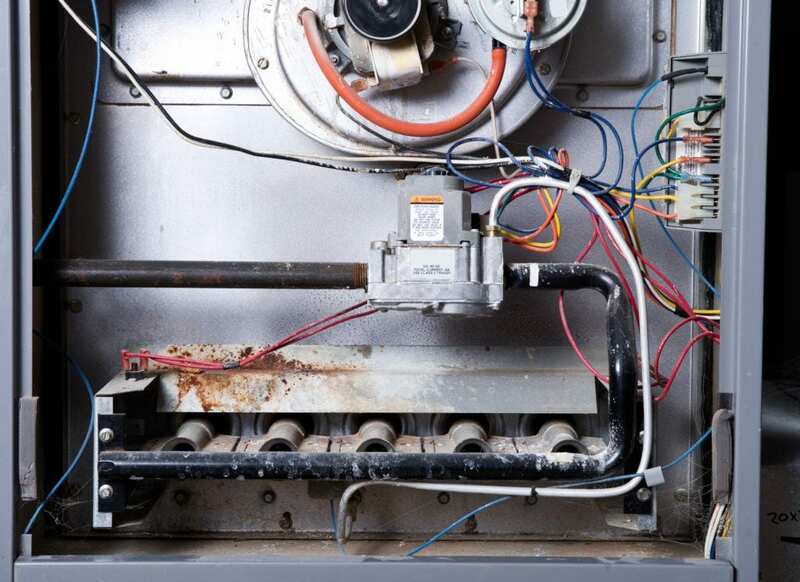 Some of your gas furnace electrical parts should be checked every year for damage, corrosion and safe operation. It is always better to prevent the damage than to stay cold on a chilly night. The equipment that is maintained in a proper way and on time requires fewer calls for its repairs and runs more efficiently. In case if you do require gas furnace repairs of any kind, do not hesitate and contact Norwalk Plumbing Heating & Air Conditioningand we will solve your problem.